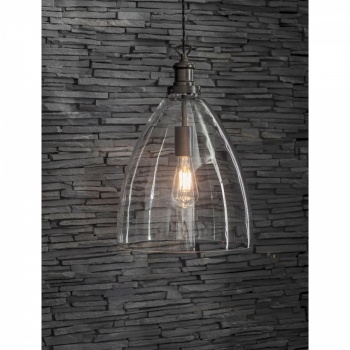 The grand Hoxton Bullet Pendant will create a striking focal point above a dining table or in an entranceway to your home. 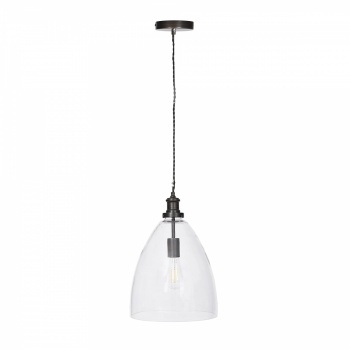 Produced with a tall domed glass shade the fittings come in a choice of finishes. 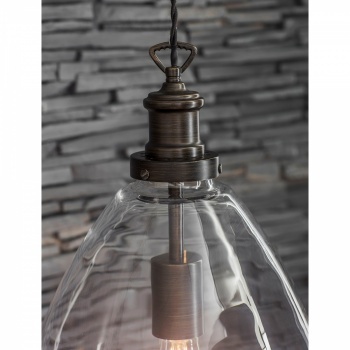 To ensure the bulb sits centrally we've designed the ceiling light with a tubular bulb holder which works specially well when matched with a Squirrel or Globe shaped LED bulb. 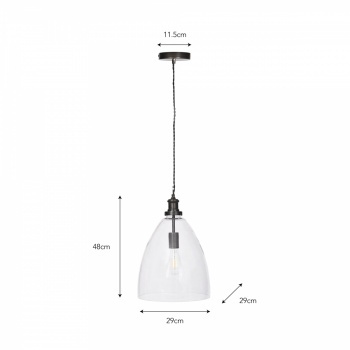 This E27 indoor pendant has a 125cm metre adjustable wire and cable allowing you to hang at the desired height. 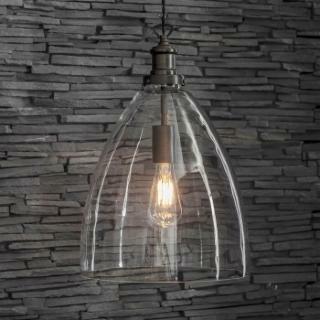 The bold streamlined appearance would complement a range of homes, hanging gracefully in its room of choice.